If I have a dental emergency after office hours, does your office offer the ability to get in touch with a dentist? Yes. 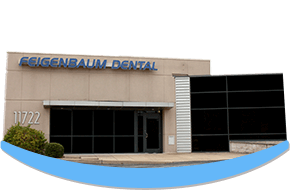 Feigenbaum Dental in Creve Coeur, MO sees dental emergencies 24 hours a day, 7 days a week. Just call our office and be directed to the right contact information by our voicemail. While Feigenbaum Dental is only in-network with Delta Dental Premiere, we are happy to take any dental insurance providers. We will file your insurance claims and help you receive the maximum benefit possible at our Creve Coeur dental office. Because we understand that affordable care is essential, we also accept many different payment options, including CareCredit third-party financing. Our office actually offers different options for adult orthodontics, including Invisalign. We also offer limited orthodontics for children, such as retainers. What makes Feigenbaum Dental special? Dr. James Feigenbaum and Dr. Jenna Feigenbaum have been providing Creve Coeur, MO with quality dental care for almost 30 years, and during this time they have perfected an extremely gentle technique for delivering local anesthetic. Patients rave about how comfortable the dental care is at Feigenbaum Dental, and our dentists are great at setting everyone’s mind at ease. If you want comforting, gentle, meticulous care, get to know Dr. James Feigenbaum and Dr. Jenna Feigenbaum. Yes. As a full-service family dental practice in Creve Coeur, MO, Feigenbaum Dental sees children as well as adults. Parents appreciate our calm and caring demeanor when it comes to their children’s dental treatment. And we offer all the children’s dentistry services your child needs, including dental sealants and fluoride treatments.